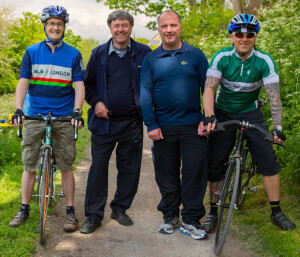 A CHALLENGE to raise money for Bath Cancer Unit Support Group will be undertaken by Nigel Arbury from Frome, who is walking the 160 miles from the Houses of Parliament in Westminster to Bath’s Royal United Hospital. Funds raised will help purchase a Positron scanner for the RUH which will be the first district hospital in the country to get this state of the art equipment which will transform the treatment of cancer. The route follows the River Thames to Reading and then proceeds along the Kennet and Avon Canal to Bath. The catch is that Nigel has set himself a maximum of 48 hours to complete the task! Nigel has already walked from Westminster to Devizes to check the route and has confirmed that there will not be any time to stop for a rest along the way! Not someone who does things by halves Nigel has challenged two of his cyclist friends Stuart Mardon and Tom Barnard to race him back to Bath. Just to make it a little more interesting, the pair will cycle 250 miles on fixed gear bikes only travelling during daylight hours. 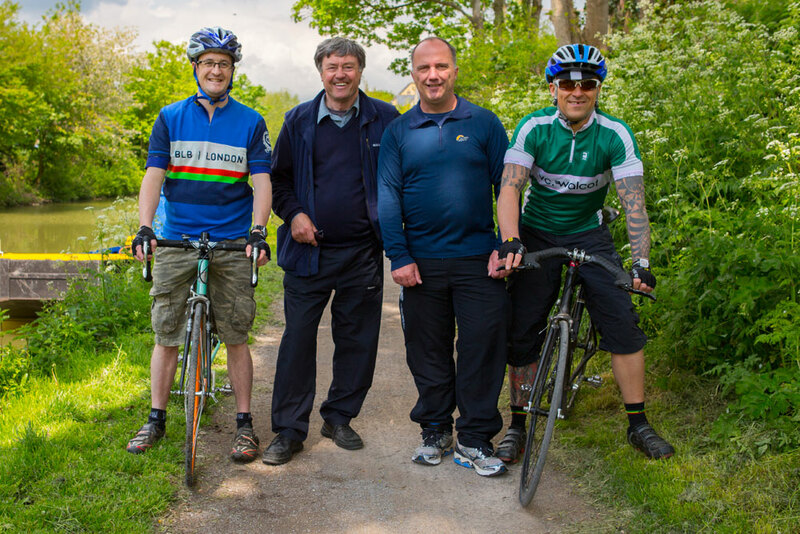 Their route will follow the Thames Valley Cycle Route to Oxford, then on through Witney to Lechlade. They will then double back to Reading and carry on their journey along the Kennet and Avon Canal to Bath. The group say that it is very exciting news that the RUH will be the first district hospital in the country to get the very latest Positron scanner that will transform the treatment of cancer. For more information please visit the Bath Cancer Unit Support Group’s website at www.bcusg.org. The trio will set off at 1.30pm on Thursday 12th September after enjoying a lunch at the Houses of Parliament hosted by the Somerton and Frome MP David Heath. Joining the send off party will be John Carter the chairman of the Bath Cancer Unit Support Group. Don Foster the MP for Bath and the vice-patron of the appeal is fully supportive of the challenge. The participants aim to arrive at the RUH just before 1.30pm on Saturday 14th September to a welcoming party lead by the patron of the appeal, The Right Worshipful The Mayor of Bath, Councillor Malcolm Lees. Heading the support team will be Martin Bax. This will be the eleventh challenge that he has organised with Nigel. The first one was 16 years ago in April 1997, also for the Bath Cancer Unit Support Group, to raise money for a radiotherapy scanner. Joining Martin will be Les Drage of Westbury, who was Nigel’s running partner on most of his previous challenges until a double hip operation prevented him from participating. His task now is to keep Nigel company through the night! Nigel’s wife Heather, who is a staff nurse at the RUH is also in the support team and joining from the original 1997 challenge is Simon Tozer, now living in Folkestone. Completing the team is Amie Miller of Frome. Amie, along with Nigel, Stuart and Tom all work for Wilts Electrical Wholesalers of Trowbridge. The company has agreed to sponsor all the transport and fuel required to successfully complete the challenge. Cathryn Gallacher has agreed to be the official photographer.